3D Printing offers rich opportunities to enhance STEAM (Science, Technology, Engineering, the Arts and Mathematics) and design skills. Presenting real-world challenges to students engages them with a hands-on approach to problem solving. With Stratasys 3D printing solutions and Javelin as your education partner, students develop real-world skills aided by resources that inspire, and support that keeps you running. An excellent match for STEAM curriculum projects at associate, undergraduate and graduate levels. Educators can increase engagement with exciting classroom projects. Students can be inspired and be more hands on with design and engineering. Students can boost their career opportunities by showing potential employers precision 3D models built on-site at their academic institutions. Nothing conveys an idea better than holding it in your hand. 3D printing is an effective way to enrich learning in virtually any discipline. Stratasys 3D Printers can be used with virtually all types of 3D CAD software. What does it take to attract the best students and staff in higher education? Offering cutting edge technology helps. 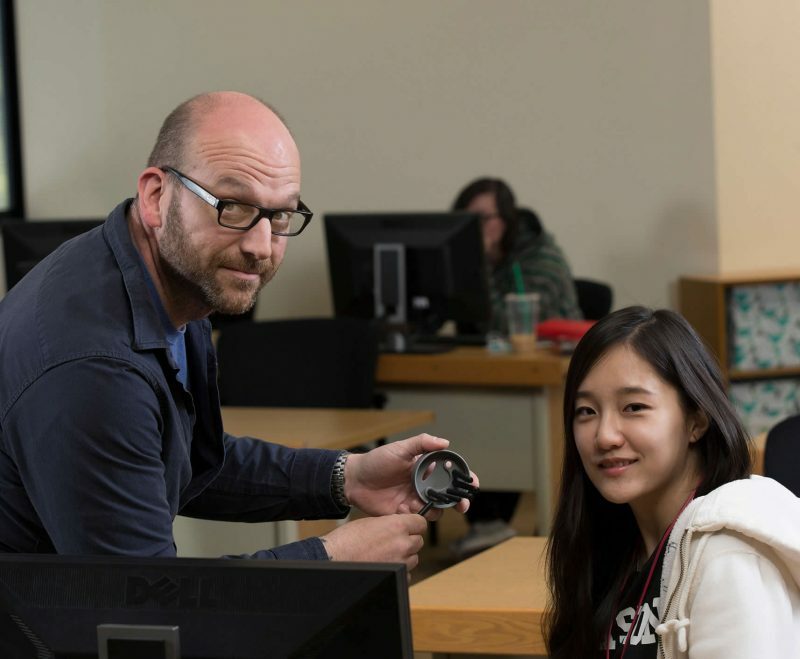 Providing a mix of 3D printers allows students to gain critical academic experience, creates cross-departmental collaboration and even fosters student entrepreneurship. Solutions from Stratasys generate genuine excitement and problem-solving capabilities that can galvanize an entire campus. Over the next decade, experts predict a shortage of skilled workers in manufacturing could lead to over 2 million unfilled jobs. Globally, manufacturers are counting on technical schools to develop programs that attract and retain talented students, and prepare them to work in advanced technology sectors that use knowledge far beyond what was required a generation ago. Career readiness and college prep go hand-in-hand. Exposure to 3D printing develops the problem-solving skills necessary to tackle the more challenging work still to come after graduation. Navigating the entire design cycle gives high school students a concrete example of the need for critical and analytical skills required for success. Engagement is a proven predictor of student success. Give students hands-on, real-world projects and concepts leap off the page and into their hands. 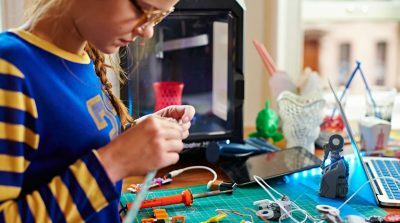 3D printing inspires interest in STEAM subjects with a project-based strategic learning approach that really resonates. Many Stratasys 3D printers feature fast-draft mode to produce design concepts quickly and economically. Now you can print twice as fast as standard build mode while consuming just a third of the material on average. For even more efficiency and savings, choose PLA. A thermoplastic made from renewable resources, PLA gives you the speed of fast-draft mode while keeping material expenses down. Spend less, create more. That’s smarter 3D printing. Stratasys 3D printers are easy to operate and maintain for all experience levels. We can provide you with a 3D printer that will support nearly any capability your curriculum requires. Minimal setup means you can plug and play to start 3D printing. The Stratasys 3D printers are classroom-ready. Auto-calibration ensures you spend less time troubleshooting and more time 3D printing. Fast and easy material swaps streamline the transition time between projects, so nothing slows you down. The Stratasys 3D printers offer a range of strength and layer resolution options to suit almost any learning application. 3D printers offer different materials, along with an easy-to-remove soluble support. Its ability to accurately reproduce virtually any shape in real production plastics both inspires creativity and encourages problem solving. The versatility of Stratasys 3D printers effortlessly adapts to many different classroom and student needs. Need a 3D Printer for Education? Javelin Stratasys education solutions make incorporating 3D printers into schools more viable and affordable. They include resource materials and critical printer support.